Royal Bengal tigers and Asiatic Elephants. Over 600 species of birds. 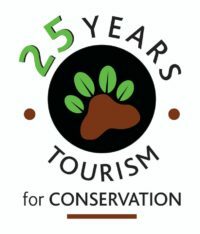 Established in 1936 by hunter turned conservationist Jim Corbett, Corbett National Park holds the distinction of being the first national park of India. Known for harbouring large populations of Royal Bengal Tigers among a plethora of other bird and mammal species, Corbett is the perfect destination for birders and wildlife enthusiasts. Had a Fun filled Wild Life vacation with Asian Adventures. The Tour was well organised from Delhi to Corbett and on to the hills to Pangot and Back. The Lodges we stayed in were fantastic! Large rooms with great views and Spa and pool facilities. The Safaris were always on time and our guide was very experienced and shared many stories of Corbett Reserve, which really fascinated us. The Wildlife Video at Tiger Camp was really educational.